Prior to 1820, by virtue of treaties with the Miami, Delaware, Wea, and Kickapoo Indian tribes, the United States Government held title to the land on which Beech Grove lies. In the early 1820's various parcels of land were sold to individuals. That land was cleared of timber and used as farmland until after 1900. In 1864, M. F. Churchman, of the Indianapolis banking firm of Fletcher and Churchman, purchased a large tract of land known as the "Snyder Farm" in the area later to become Beech Grove. He formed a partnership with George Jackson of Delaware, who imported the first Jersey cattle to this country. Their enterprise with pedigreed Jersey cattle was very successful, and their farm, called "Beech Grove Farm", became widely known. Prominent among early citizens are the families of Churchman, MacGregor, Bolton, and Cottman. In 1930, one of those descendants, George S. Cottman, wrote about the origin of the city and its name. 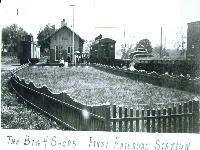 He wrote, in part, "Because of the Beech Grove farm industry, a railway installation was at the nearest point on the Cincinnati road and this, at first called Ingallstown, afterwards took the name of Beech Grove Station. Still later the embryo town took the name of the station, and here we have the origin of the name, the first cause being the beech trees on the piece of woodland adjoining the cattle farm." Probably the best known early Beech Grove residents was Mrs. Sarah T. Bolton, famed writer of "Paddle Your Own Canoe" and many other poems. She came to Beech Grove some 100 years ago and wrote many of her poems in her home on South Seventeenth Avenue, which was known as Beech Bank. The city purchased the Bolton Farm and developed a city park there which is now enjoyed by many area residents. Most of the early Beech Grove area was platted in 1906 by the Beech Grove Improvement Company, a firm engaged in the buying, holding, and selling of real estate. 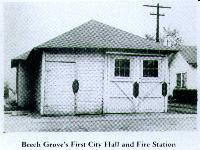 Beech Grove became an incorporated town that year with a town board form of government. As the city grew, it became a fifth class city in 1935 with a mayor-city council form of government. Then, it became a fourth class city 1961. Beech Grove residents enjoy the benefits of both a small town and a large city. They have their own school system, police and fire departments, parks, library, sanitation, and other services. Their mayor and city council are local and responsive. At the same time, they are next door to the services, shopping areas, recreational facilities, factories, and offices of metropolitan Indianapolis. The crime rate in Beech Grove is low, with serious crime a rarity. The city also enjoys one of the finest traffic safety records in the state. Neighborhoods are generally neat and well-maintained, and there are few extremes of either wealth or poverty. All in all, Beech Grove is a pleasant city in which to reside and enjoy the best of middle class living. ​By the turn of the 20th century, the Beech Grove area was a rural section of Indiana's Marion County. 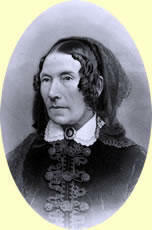 Notable residents included poet and women's-rights activist Sarah Tittle (Barrett) Bolton (1814–1893) and Indianapolis financier Francis McClintock Churchman (1833–1891). Bolton's farm, "Beech Bank" and Churchman's cattle farm, "Beech Grove Farm", both reflected the abundance of beech trees in this area. This would eventually provide the reason for the city's name, although an early railroad stop in the area was known as "Ingallstown." The city's Sarah T. Bolton Park, situated on some of the former Beech Bank farmland, still contains several large beech trees along its southern boundary. 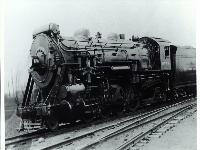 The actual city came into existence as a 'company town' for a new railroad repair facility constructed by the Cleveland, Cincinnati, Chicago, and St. Louis Railroad (nicknamed the "Big Four"). Through acquisitions and mergers over the years, the railroad "shops" have been run by the New York Central, Penn Central and, presently, Amtrak rail systems. Amtrak's Beech Grove Shops complex sits on 108 acres (0.44 km2) and there is 700,000 square feet (65,000 m2) under the roofs of the buildings. In 2007, Amtrak had 550 employees working there. In recognition of its heritage as a railroad town Amtrak's business car 10001 is named The Beech Grove and is often used by agency officials when they travel the system. Although Beech Grove was incorporated in late 1906, it did not see rapid growth until the completion of the railroad facility in 1908; by July 1907, for example, there were only four homes and two businesses in place. Beech Grove grew with two annexations after World War II, with the final one (1967) taking place just before the Uni-Gov legislation which merged Indianapolis with most of the rest of Marion County, preventing future annexation. Two famous actors have listed Beech Grove as their birthplace; Clifton Webb (November 19, 1889–1966) and Steve McQueen (March 24, 1930–1980). Webb was born before Beech Grove came into existence as a separate entity, while McQueen was born at the City's St. Francis Hospital. Both moved away from the area while they were still infants; neither one grew up or lived in Beech Grove. On October 15, 1948, Beech Grove received the honor of a visit by a sitting President of the United States Harry S. Truman, a Mason, came to the city's Masonic Lodge during his legendary 'Whistle Stop' Re-Election Campaign to participate in a ceremony involving a member of his staff who was one of its members.